As a charity which provides financial help to families working in the UK fashion and textile industry, the team here at the Fashion & Textile Children’s Trust were saddened to hear the news that BHS and Austin Reed will soon be closing their doors - affecting an estimated 12,000 employees. To help families during this challenging time, we have designed a new fast-track grant application process, enabling any affected employees with children aged under 18 years to apply for help towards school uniform costs. Employees can apply for a grant of £150 (per child) to pay for school uniform and shoes for the new school year (starting September 2016). Our main grant criteria still applies, but to speed the process, we have simplified the supporting evidence you need and applications can be submitted via email. Plus, we have added the option for you to receive payment via BACS electronic payment system into your bank account. We hope all these steps will encourage families to apply for help during this difficult time. We’re a small and friendly team and are here to help you. Step 1: Download and fill in the Fashion & Textile Children's Trust fast-track application form below. (If you have more than one child, please complete a separate form for each child). Photocopies of a Child Benefit letter or a recent (within the last three months) bank statement showing Child Benefit payment into your account. You can apply today using this form and we will start assessing applications from Friday 15th July onwards. Closing date for all fast track applications is Friday 14th October. If you get stuck, contact the FTCT team on 0300 123 9002 or email grants@ftct.org.uk. Non BHS and Austin Reed employees can still apply for an FTCT grant, provided you work or have recently worked (since 2007) in the UK fashion and textile industry. This includes, among others, clothing shops, factories, warehouses and supermarkets which sell clothing. Grants are available in small to large one-off amounts or on-going payments, for more complex needs. Or call the team today on 0300 123 9002. 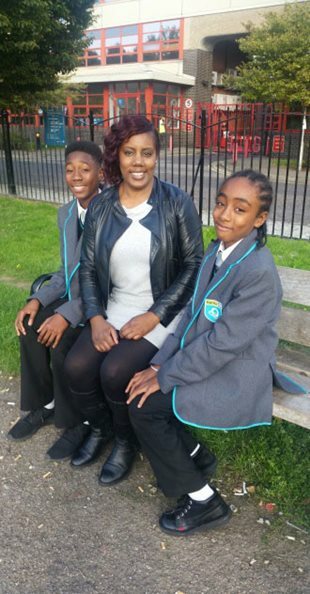 Find out how the Fashion & Textile Children's Trust helped them with school uniform costs.